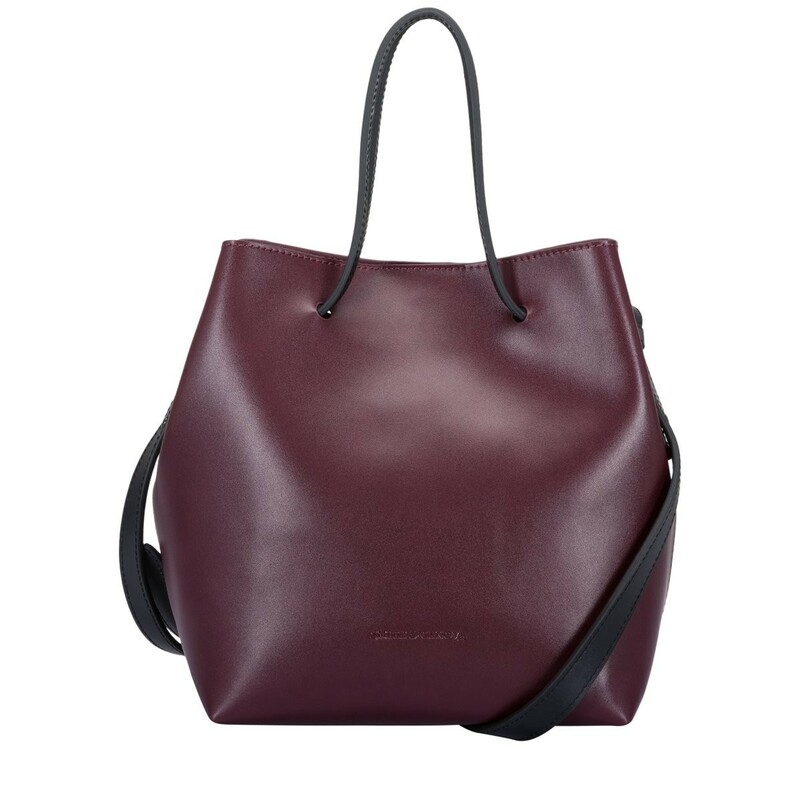 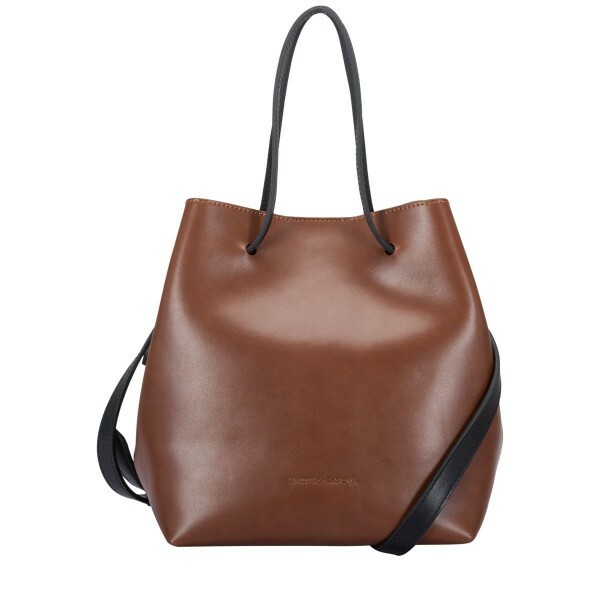 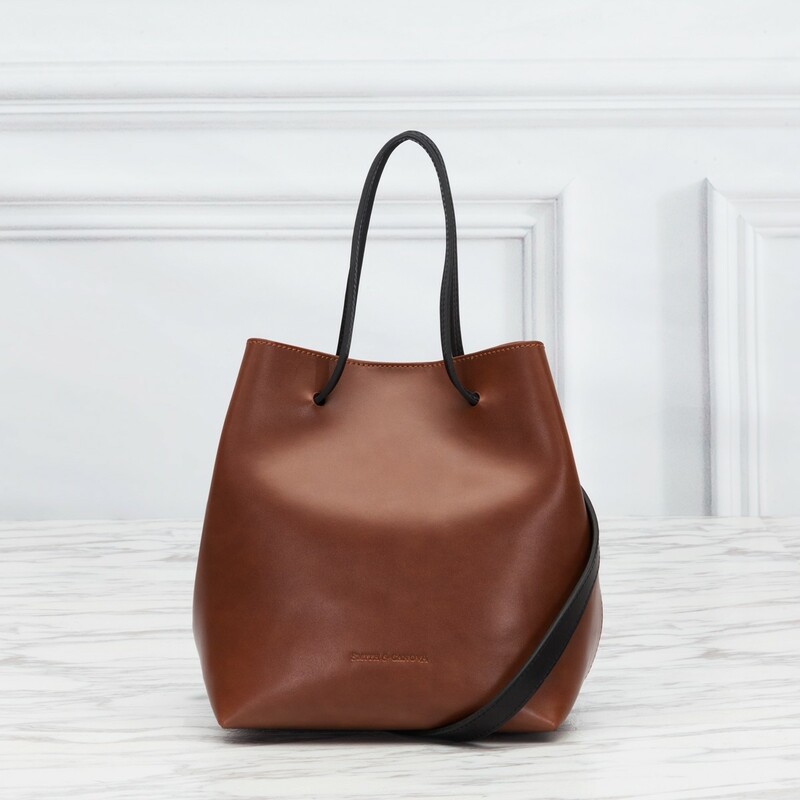 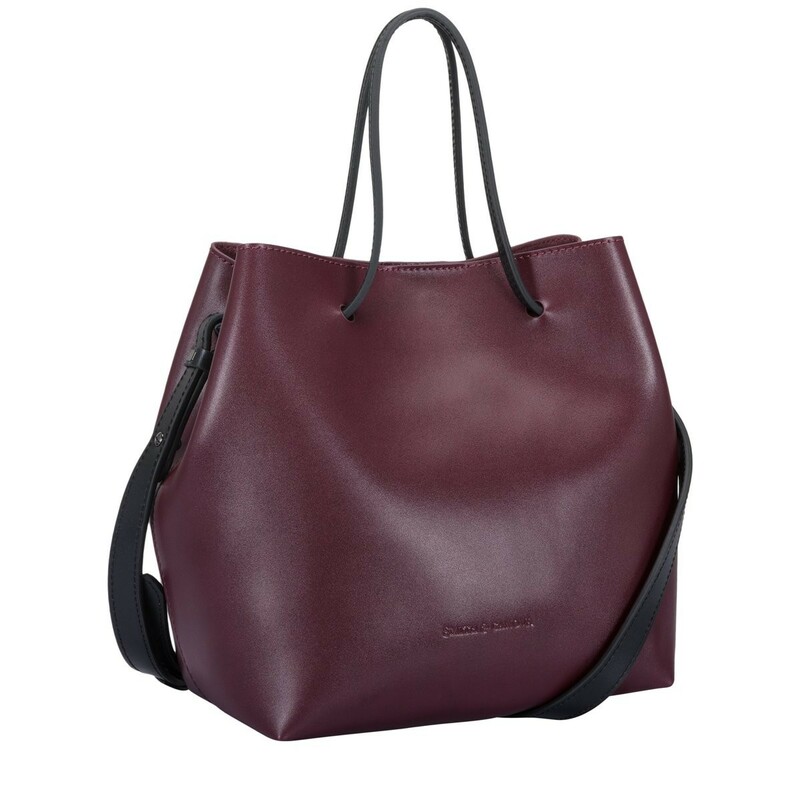 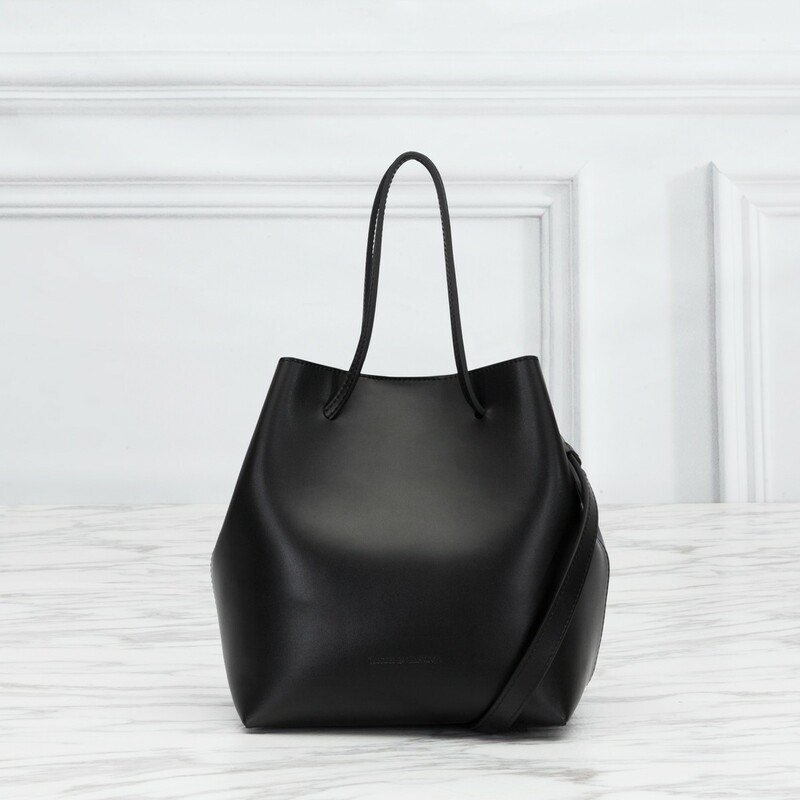 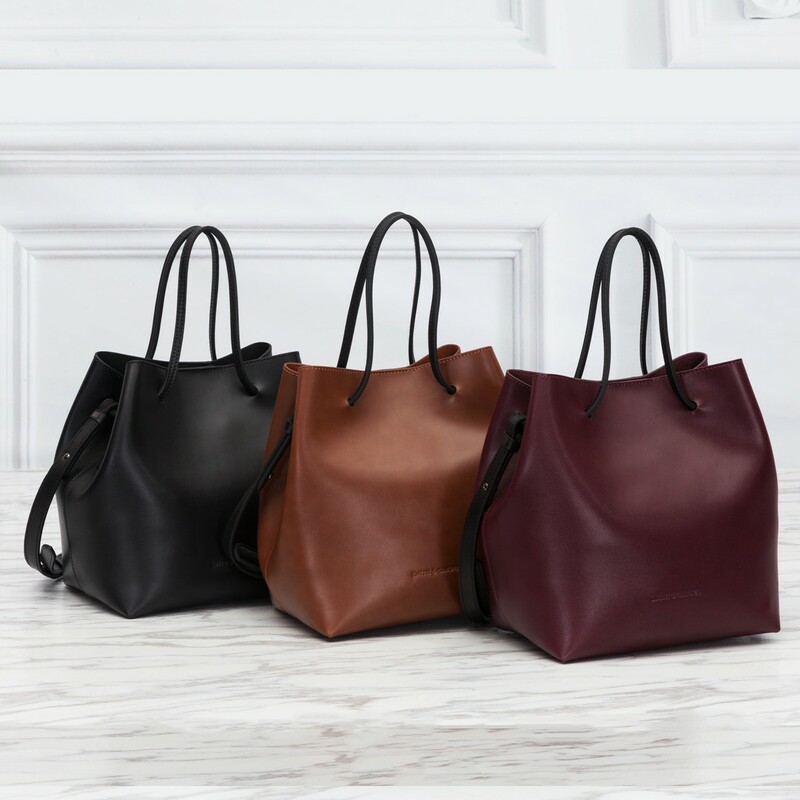 For understated style, this clean cut drawstring bag is perfect. 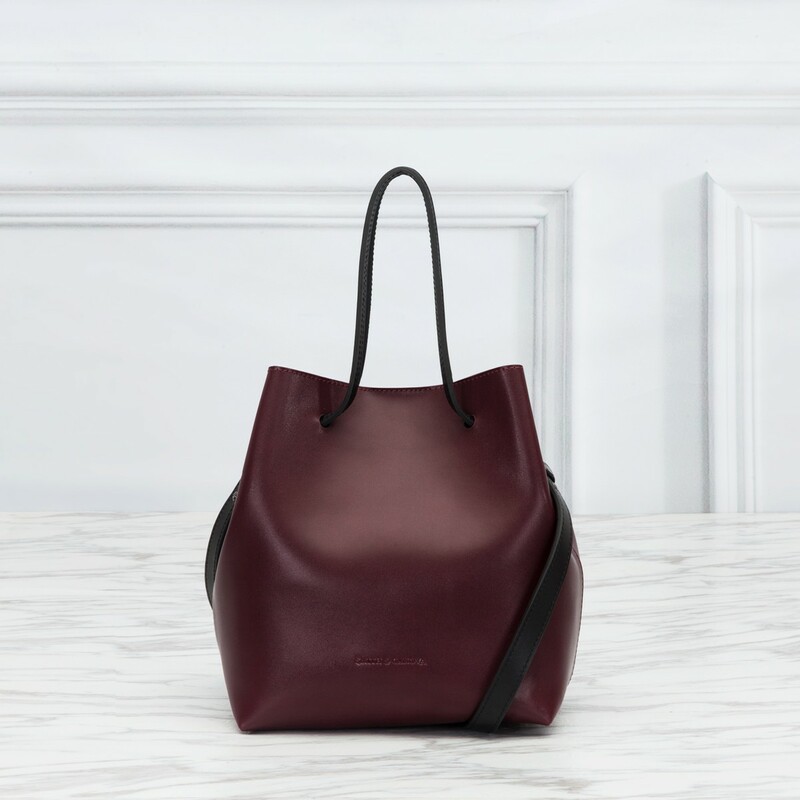 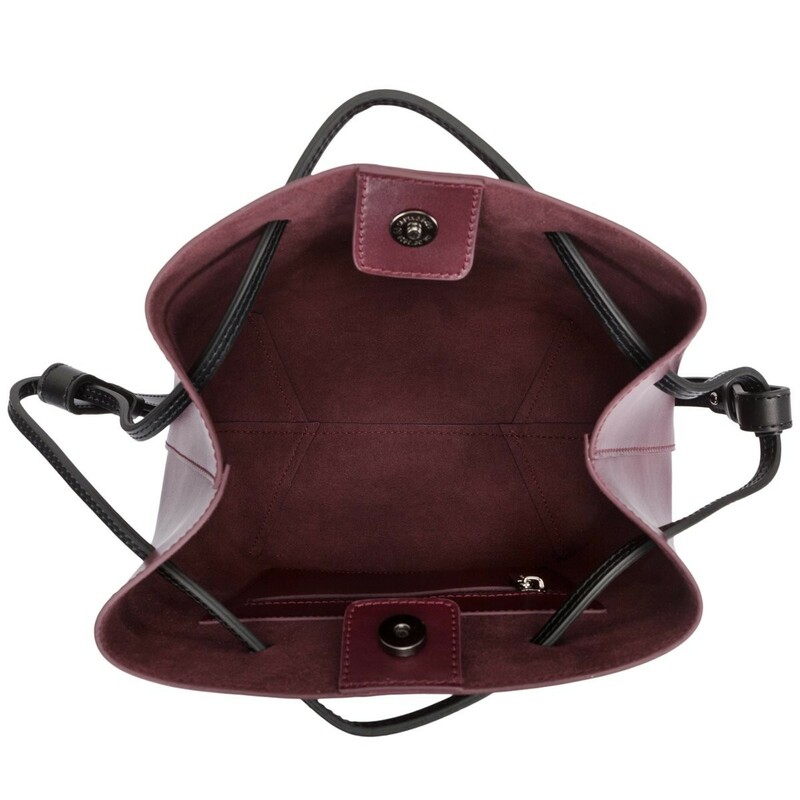 The smooth leather exterior gives it a luxurious finish and the intricate stitch detail adds to the minimal design. 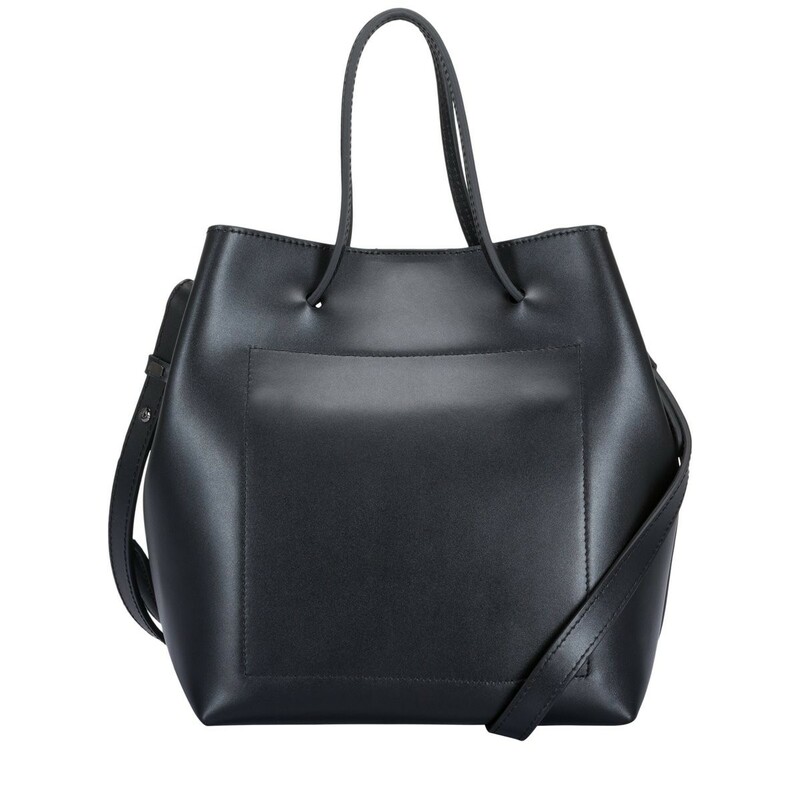 There is a choice of styling as a grab bag, or over the shoulder. 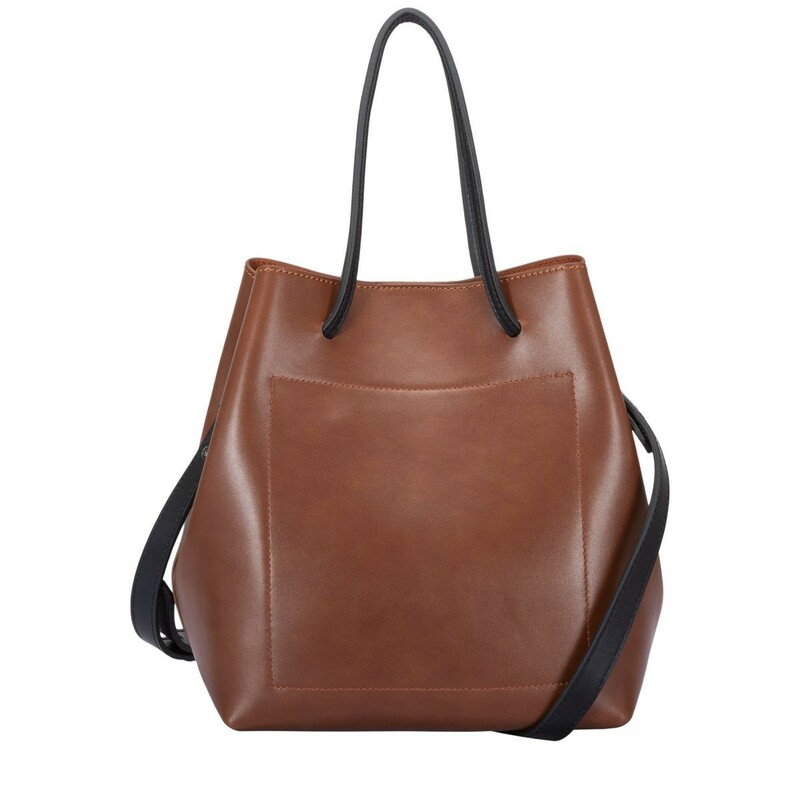 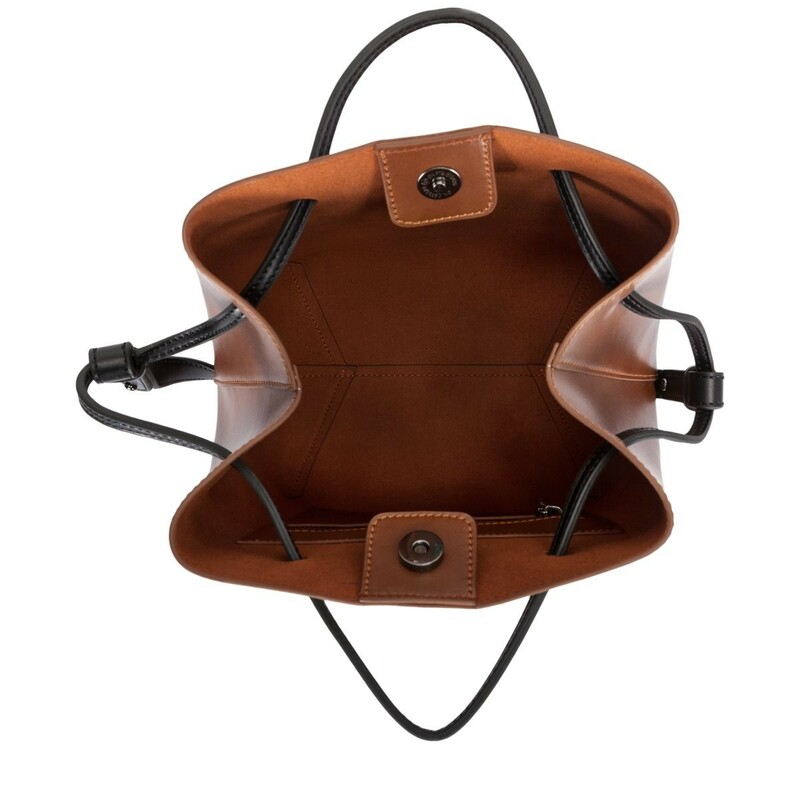 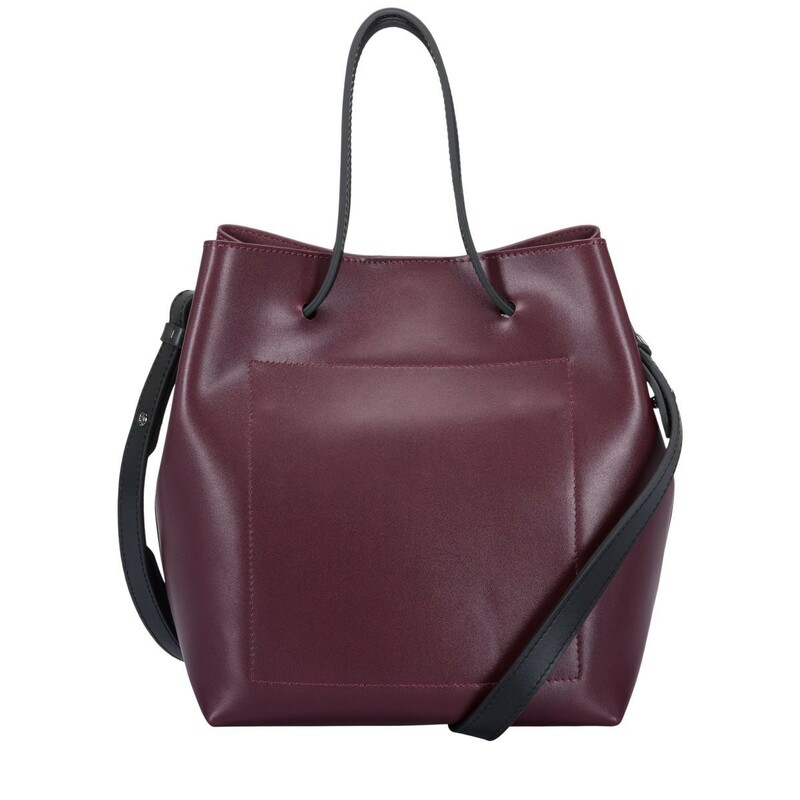 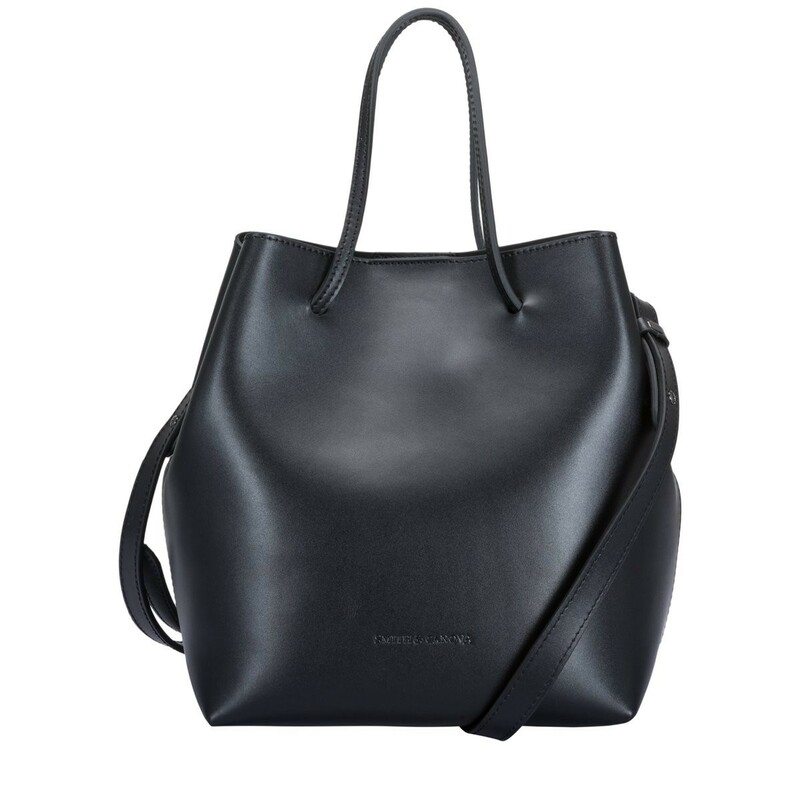 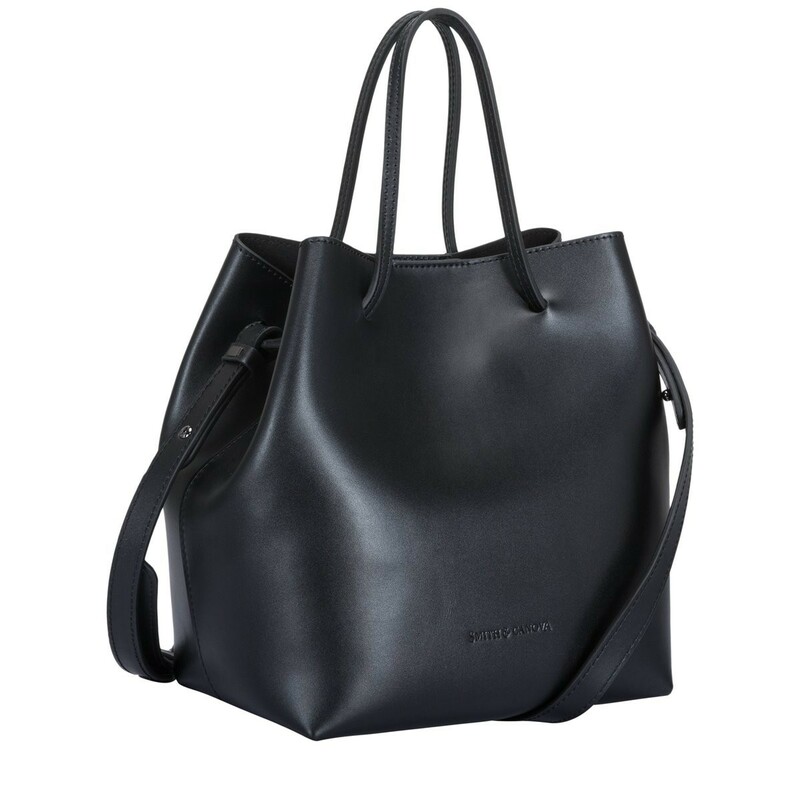 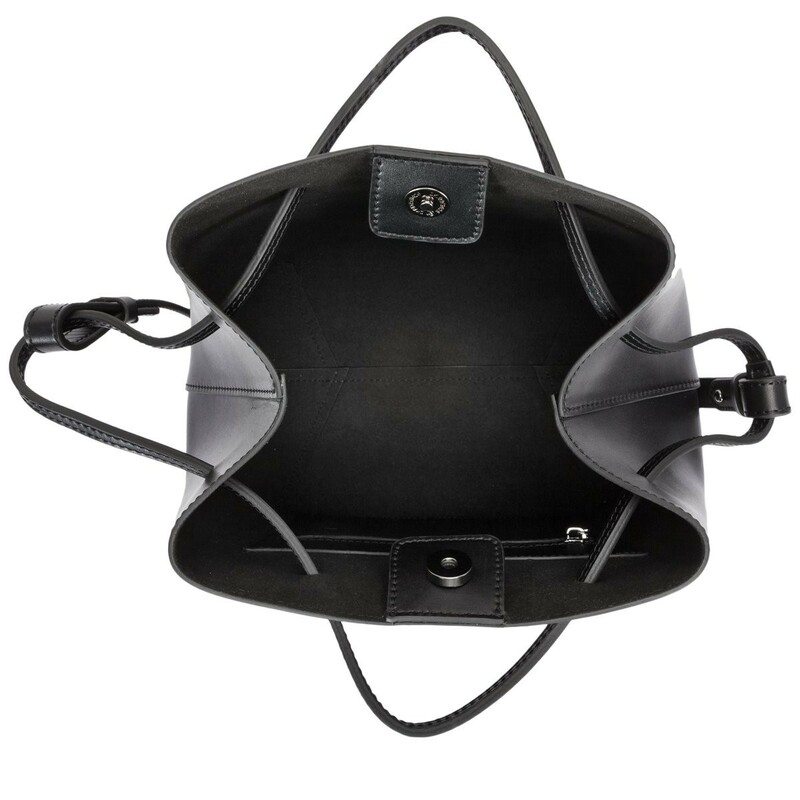 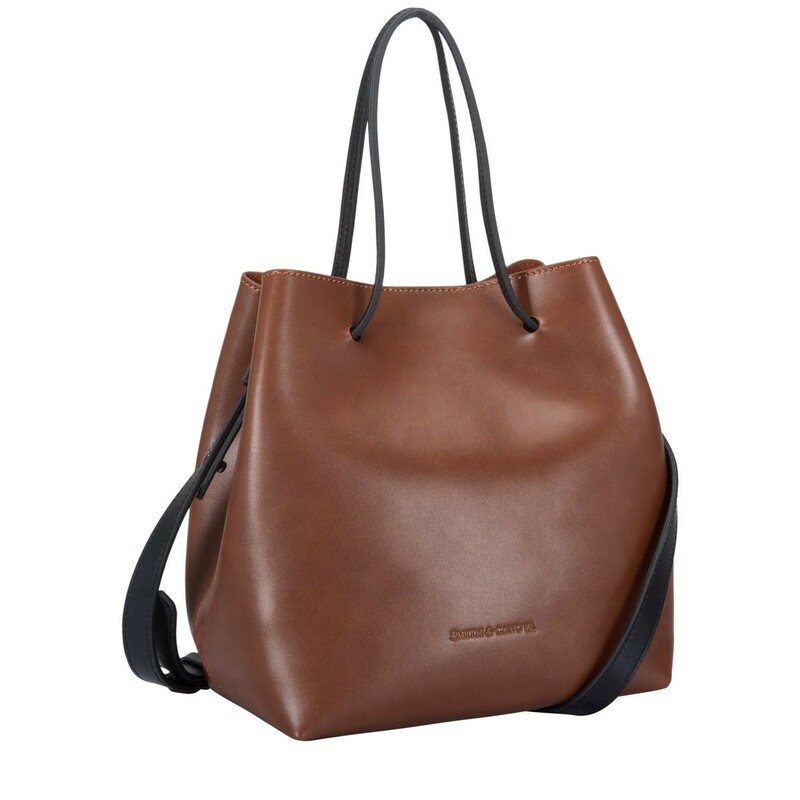 When worn across the shoulder, the grab handles are pulled tight to make the bag even more secure.